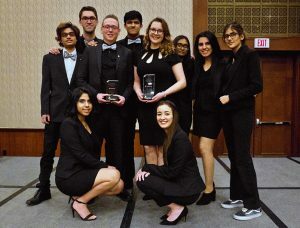 Congratulations to the Enactus UBC Okanagan team on a great performance at this year’s Enactus Western Canada Regional Exposition last week in Calgary, AB. UBC Okanagan Campus Security offers a variety of personal safety tips for the campus community. The UBC Board of Governors has today approved the appointment of Dr. Ananya Mukherjee-Reed as Provost and Vice-Principal Academic at UBC Okanagan for a five-year term beginning November 1, 2018. At the Enactus Western Canada Regional Exposition in March, the Enactus UBC Okanagan team won the Regional Champion award in the Scotiabank EcoLiving Green challenge with a five-minute presentation on one of their two ongoing projects, Project Roots. 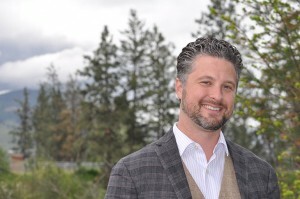 University Relations welcomed a new associate director of public affairs for the Okanagan campus on Monday. Nathan Skolski joins UBC from Ottawa where, for the past six years, he served as head of media and public affairs for the British diplomatic network in Canada, leading all communications activities for the British High Commission in Ottawa and its consulates in Montreal, Toronto, Calgary and Vancouver. Hear about UBC Okanagan's achievements and notable developments from the past year and look ahead at what's next for our campus at the Deputy Vice-Chancellor and Principal’s Town Hall spring update. Leading up to the 41st British Columbia general election on May 9, 2017, election signage is now in full display around Kelowna streets. 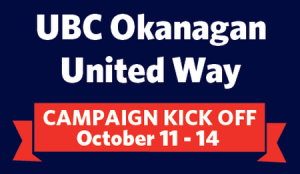 More than 40 faculty and staff -- just over 3 per cent of employees -- have contributed to the 2016 UBC Okanagan United Way campaign by making payroll e-pledges. The goal is to encourage e-pledges from 10 per cent or more of our faculty and staff, and to help more than 3,000 people in our region through United Way-funded community partners. Get your teams ready for the inaugural annual Great Pancake Race. If you would like to receive The Exchange send a request to Chris Guenard. Let everyone know what's going on in your corner of UBC's Okanagan campus. Send submissions to Chris Guenard.